Houses that appear in all their lush greens glory are one of the houses that are the most pleasant to look at. While huge and tall fences seemingly give off the feel of intimidation, greeneries can often negate that effect. Therefore if you’re not a fan of fences or tall walls but you are in need of some privacy, plants are an excellent solution. Plants help protect your environment from extreme weather conditions, in addition to its proven capability in purifying the air and improving the overall air quality in your yards. 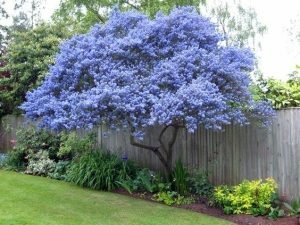 Shrubs and trees provide you with a great deal of privacy from your neighbors, and have been proven to effectively block some noise. Here are some ideas with brief information on how you could start having plants improve your home to improve your property value. It is important to create proper planning, not just in choosing trees, but also in incorporating them into the many factors of your house or properties; the designs, landscaping, soil and fertility, among others. The option of having a row of trees are endless. Some of the most popular ones include fan palm, deciduous, evergreen, and arbovitae. It depends on several factors such as the look you’d want to achieve. Palm plants are great and look especially fetching if you’re particularly attracted to the tropical look. Both Deciduous and Evergreen are classic fences-replacements that are timeless and could be incorporated on any design. Make sure to research well and decide what you want, and how they could be incorporated to your environment. Tall hedges in particular, offer a great deal of privacy. It has the image of being refined because of its often symmetrical trims. Hedges often need a lot of care to maintain the shape, so make sure to plan ahead and take into consideration the cost of the maintenance. Evergreen shrubs are classic and provides a great sense of privacy. It’s noteworthy that these evergreens could protect you from the outside view all year long. Well-placed evergreen shrubs are known to greatly reduce energy consumption during the summer as they provide a significant shade against the sun. They also help to reduce extreme temperature during the winter as plants help to temperature regulation, not to mention, block the chilly winter winds. Ornamental grasses are super affordable and would definitely give you a bang for your buck. Bamboos are an excellent choice when it comes to providing privacy. Asian style houses are especially popular in incorporating bamboo both to their yards and indoors.